22 years from now, will you still be able to hear Despacito? Despacito has been #1 on the Hot 100 for 15 weeks. If it stays at #1 this week it will tie One Sweet Day’s record. It’s not just the song of this summer, by this benchmark, it’s now become a song for the ages. Despacito was already a massive global banger well before the Justin Bieber version. After all, JB isn’t in the original video version of the song which is the most viewed and the most liked on YouTube of all time, the first video to reach 3 billion views. The success of Despacito belongs Luis Fonsi, co-writer Erika Ender, and Daddy Yankee. 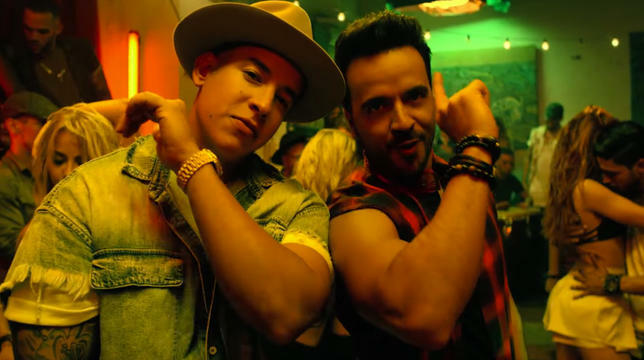 In a new essay for Vulture, Wayne Marshall analyses why Despacito has become such a worldwide phenomenon, breaking down its chord progression and the way the song is paced to best match up to its lyrics. Of course the songwriting is a major factor but so is the globalisation of music and sound. Wayne Marshall connects Despacito to the influences that were shaping musical tastes in the years before the song was written and also discusses how Despacito reflects our artistic and social present, because art is always a lens to a wider culture, and how it might inform our future. This is a fascinating read about a song that is proving that it’s more than just a song. For over a decade now, critics have been lamenting the death of monoculture as a result of our collective fragmentation. Once in a while though, a song like Despacito comes along and gives us a shared experience. It’s hard not to see the beauty in that, even though you might be tired of it. And besides, have you seen the Sesame Street version?! ?